Admittedly, Photoshop isn’t necessarily the easiest program out there to edit art on the pixel level. You have to zoom in a lot, set a pencil tool or brush to 1px (or slightly larger, depending), and then deal with the quirks that come from scaling down program meant to make high-res pieces of art really pop. That said, though, the tools at your disposal with Photoshop mean that it may be worth the hassle. If you don’t mind the setup, you can make some stunning hi-bit art with Adobe Photoshop. Piskel is cool. Totally free and totally online, you can do pretty much everything with Piskel. The real kicker here is that because it’s totally online and browser-based, you can even do it in a mobile browser. And while that may seem awkward for folks on smaller phones or those with larger fingers, on a bigger screen or a device with a stylus (or Apple Pencil), Piskel is more than powerful enough to stand up as a top pixel art maker. 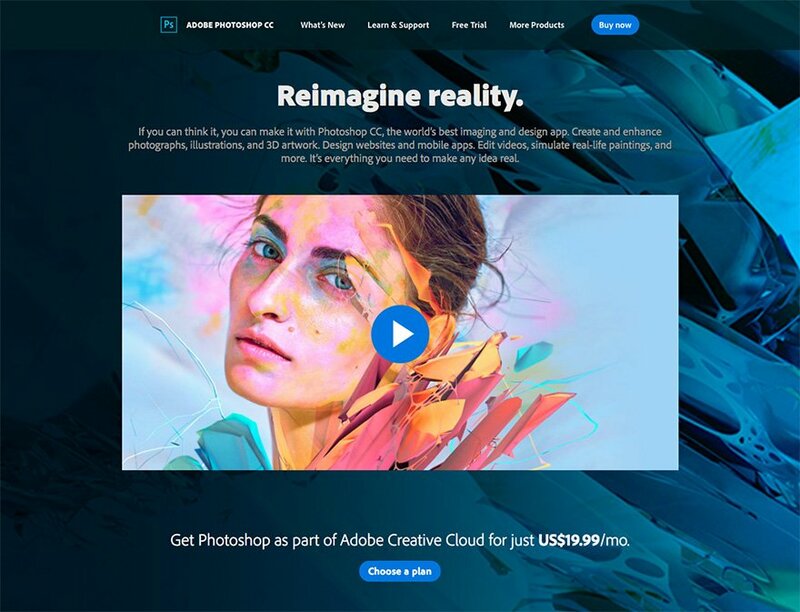 You may not be making headers or cover images with it, but if you need to animate something or create individual elements, you really can’t go wrong with Piskel. Take what we said about Photoshop, make it open source and free with a slightly steeper learning curve, and you have GIMP. You can make great pixel art with this one, if you’re on a budget and need some power. Pixelator is a kind of anomaly in the pixel art maker game. Instead of creating original pixel art, you are taking existing images and pixelating them. You can use a variety of settings and levels of pixelization and color palettes and saturation to get the exact look you want. There is a free license for non-commercial use, and you can choose from a couple of reasonable commercial licenses. If you have an existing library of art that you want to stylize, Pixelator is a very powerful tool to do just that. Asperite is probably the most robust pixel art maker on the market. When you consider that it’s made specifically for pixel art, that is. 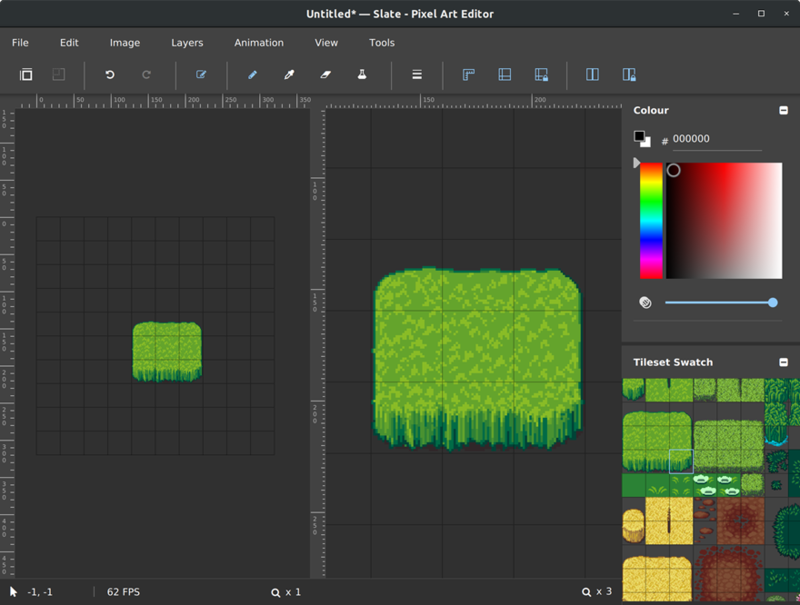 While Photoshop and GIMP (and Paint.NET, actually) may have more under-the-hood horsepower, Asperite’s focus being pixel art makes it probably the better choice. Layers, animation, aplha channel and palette control, sprite rotation/blur distortion prevention, blemd modes, shading…it’s all here. There are even command line integrations so you can automate your workflow. If you are serious about finding the absolute best pixel art maker out there, Asperite may just be the best $15 you’ve ever spent. And if you’re not sure, you can try the free trial version to check it out first (you can’t save the files with the trial, be warned). If you love open-source software, Slate is a great option to look at. While not nearly as feature-heavy as Asperite, Slate does the work and does it well. You can create pixel-perfect pixel art, create animation sheets, and keep the entire project separated by layers (which if you’re making anything remotely complex, you really need in a pixel art maker). Slate works on Windows, Mac, and Linux, so for those of you who like choice no matter what platform you’re working on, this is one to keep in mind and on your hard drives. And then there’s Cosmigo’s Pro Motion NG. This pixel art maker is the choice of a lot of professional game studios such as Ubisoft, Gameloft, and Digital Eclipse. That goes to show just how powerful the program is and how high-quality the results it puts out are. One of the few pixel art makers out there that offers onion skinning and an in-app tilemapping engine, Pro Motion NG sets itself above almost everything else by providing just about every single feature that a professional pixel artist would need. Whether it’s for creating elements for websites or animations for promotional materials or whole levels or characters for video games, Cosmigo thought of what you needed and included it. While it’s a premium app with a license fee, it’s not exorbitant: $39 for a license and $19 for subsequent upgrades. On top of that, there is a free version that’s feature-limited, so you can decide if this is the pixel art maker for you, or if you’d prefer a different one of the choices here. Hopefully, you’ll find what you’re looking for in one of the 8 choices above. If you need a professional suite for animation and level design, you have great choices. And if you just want to learn the style and poke around pixel by pixel, you can choose from a lot of easily accessible tools and get to work in just a few clicks. Regardless, giving pixel art a shot is fun and different from what you may be doing on a daily basis. If you’re evenremotely interested in what can be done with a look back at the past, you’ll see that technology has come a long way to make things look like they used to. What are your favorite uses for pixel art, and how do you make them? The post 8 Best Pixel Art Makers for Designers and Artists appeared first on Elegant Themes Blog.